Certain employees of public schools. Employees of certain tax-exempt organizations. A custodial account invested in mutual funds. 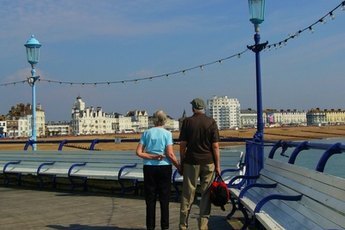 An annuity contract provided by an insurance company. A retirement income account, available to church employees, that can invest in either mutual funds or an annuity. You might want to roll a TSA 403(b) plan to an IRA if you leave your job, the plan terminates or you want to expand your range of investments. A traditional TSA 403(b) accepts pre-tax contributions that reduce an employee’s taxable income. Some employers offer Roth 403(b) accounts that accept post-tax contributions. 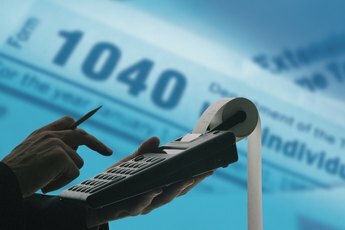 Earnings on contributions accumulate tax-deferred, and the tax treatment of distributions depends on whether the account is traditional or a Roth. You can roll over your 403(b), subject to certain restrictions. Trustee-to-trustee transfer: You can transfer a 403(b) to an IRA directly from one trustee to the other. There are no time limits or withholding requirements with this method. 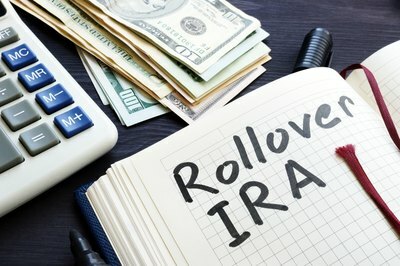 Rollover-eligible distribution: You can withdraw money from your 403(b) and roll it into an IRA within 60 days if the withdrawal is eligible for rollover. Withdrawals have 20 percent withheld for taxes, which means you must separately come up with and deposit the 20 percent into the IRA within the deadline period, or else this amount will be taxed and might be subject to a 10-percent early-withdrawal penalty. A series of substantially equal payments. Corrective distributions of excess deferrals or excess contributions. Pre-tax money moved to a traditional IRA is tax-free. Pre-tax money moved to a Roth IRA is taxed as ordinary income. You can move a mix of pre- and post-tax money from a traditional 403(b) to a traditional (not Roth) IRA if the IRA permits post-tax money. The post-tax portion adds to the IRA’s cost basis and can be withdrawn tax-free. Post-tax money from a Roth 403(b) can be moved to a Roth IRA tax-free. Avoiding taxes: Moving the pre-tax money in your 403(b) to a traditional IRA makes sense when you leave your job or the plan is terminated without replacement because it avoids immediate taxation and a possible 10-percent penalty on the 403(b) balance. If you are moving post-tax money from a Roth 403(b) to a Roth IRA, you avoid tax and the penalty on earnings that would otherwise be distributed within five years of the initial contribution to the Roth 403(b) or before age 59 ½ or age 55 in the case of job severance. Wider selection: Many 403(b) plans limit investment choices to a few mutual funds or annuity contracts selected by the plan sponsor. Moving your 403(b) money to an IRA, especially a self-directed IRA, opens up a whole universe of investment options. Lower fees: In many cases, low-fee IRA's can save you money compared to the fees charged by a 403(b) plan. 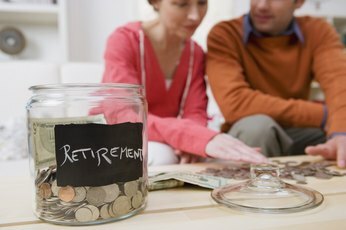 Even small savings can add up over the course of several decades. Employees who participate in a 403(b) plan can elect to defer a part of their compensation and contribute it to the plan under a salary-reduction agreement. Except for Roth accounts, the contributions are pre-tax and money isn't taxed until withdrawn from the account. For 2019, the limit on elective deferrals is the lesser of your taxable compensation and $19,000. Employees of age 50 or older can also make up to $6,000 in catch-up contributions once they max out their elective deferrals. Contributions to a Roth 403(b) are included in your taxable income for the year. Two other types of contributions to a traditional 403(b) are available. The first consists of nonelective contributions made by your employer. These contributions can consist of any combination of matching, discretionary and mandatory employer contributions. The second type of contribution is an after-tax contribution of compensation to a traditional (not Roth) 403(b) account. These after-tax contributions are included in your taxable income and increase the cost basis of the account. Withdrawals from a traditional 403(b) up to the cost basis are tax-free. For 2019, the annual limit on additions to a 403(b) account is $56,000, not including any catch-up contributions. For example, imagine you defer the maximum amount of your compensation or $19,000 into your 403(b) account. This leaves room for $37,000 in additions from your employer and from your post-tax compensation. If your employer contributes $15,000 to your account, you can contribute up to $22,000 ($56,000 - $19,000 - $15,000) of after-tax compensation to your 403(b) account. $15,000 reduced by the sum of the additional pre-tax deferments from prior years plus prior-year Roth contributions allowed under this rule. $5,000 times your years of service minus the total prior-years' elective deferrals made by your employer on your behalf. If you qualify for the 15-year rule, your 2019 elective deferrals can be as high as $22,000. You reach age 59 ½. You become disabled or die. You qualify for a reservist distribution. Due to disability or death. Part of a series of substantially equal periodic payments. Caused by your separation from your job after age 55, or 50 if you are a qualified public safety employee. Due to a qualified domestic relations order. Due to medical expenses exceeding 7.5 percent of your adjusted gross income. Is a dividend on employer securities held in an employee stock ownership plan. Due to an IRS levy. Due to qualified reservist distribution. Distributions of contributions are always tax-free. Distributions of earnings will be taxed and penalized if they occur within five years of the first day of the year in which the initial contribution occurred. Distributions of earnings before age 59 ½ will be taxed and might be penalized unless they qualify for an exception. You must begin taking required minimum distributions from your 403(b) once you retire or reach age 70 ½, whichever is later. Can an IRA Be Rolled Into an Existing Annunity?